Q: Hi all, I am looking for a software like Fenix explorer, Fenix live, Fenix viewer just to look for failures to see the state of the sensors, actuators. I know that fenix viewer no longer available, but I think I could have read the default with .. I already have the cable 12pin to USB from fenixecu. Otherwise with ProtunerRT I do not have the file .ADX XR25 to read the diagnostic frame on my saffron 2.2si. If someone helped me that would be cool. A: contact Susan, it will surely help you. A:you have CLIP otherwise, more easily available for free download .. the v134 for example. you can make the setting / activation of options, and of course display / treatment / deletion of defaults, data acquisition etc. there is just a little thing to do to get the license free until 2020 ..
in all the cases you will need the interface between the pc and the car .. and that’s another matter .. between the good and the bad on the net you have everything ..
Or I’m just looking for the software CLIP V1 .. which is downloadable for free so more interest, after I will need that interface. Do you have a link to download the clip? A: I have a .rar file with v.134 clip and license key and procedure to do. 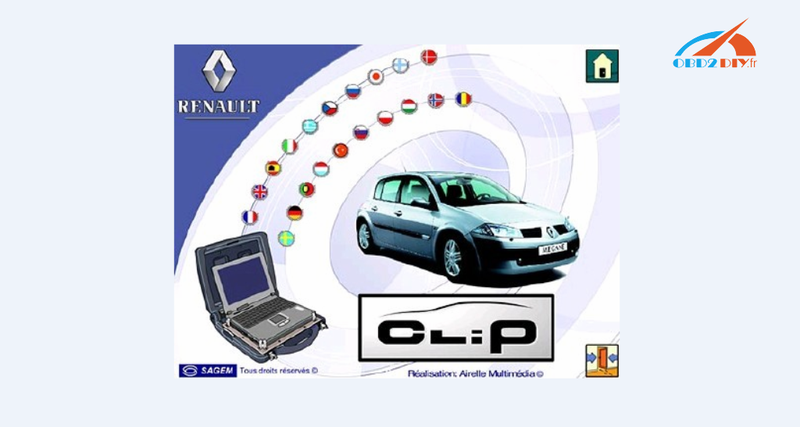 but you need a probe clip .. you can find here .. http://www.obd2diy.fr/wholesale/renault-can-clip-diagnostic- interface.html they provide the software with .. i’d love to have tested version from them. 10 euro buys safety and relief. otherwise on leboncoin there are clips for sale direct operational. with even the Panasonic PC of concession ..